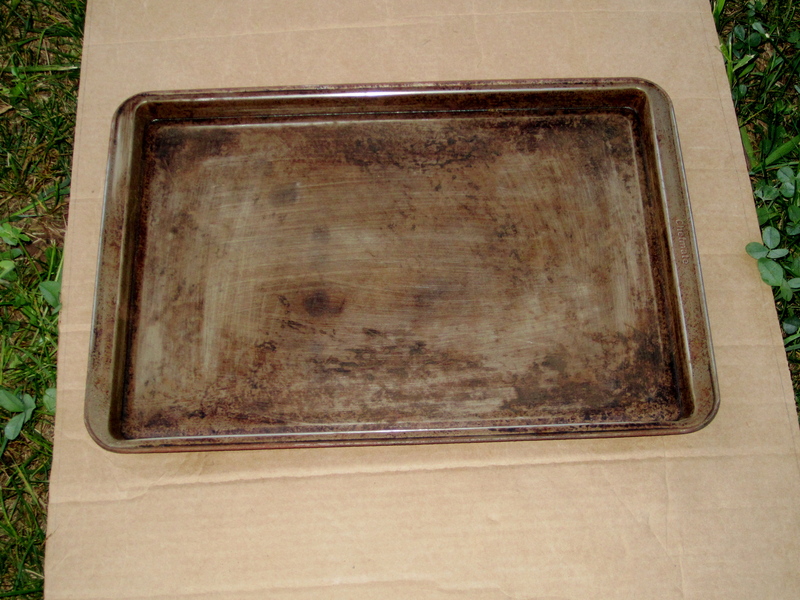 Clean cookie sheet and sand smooth. 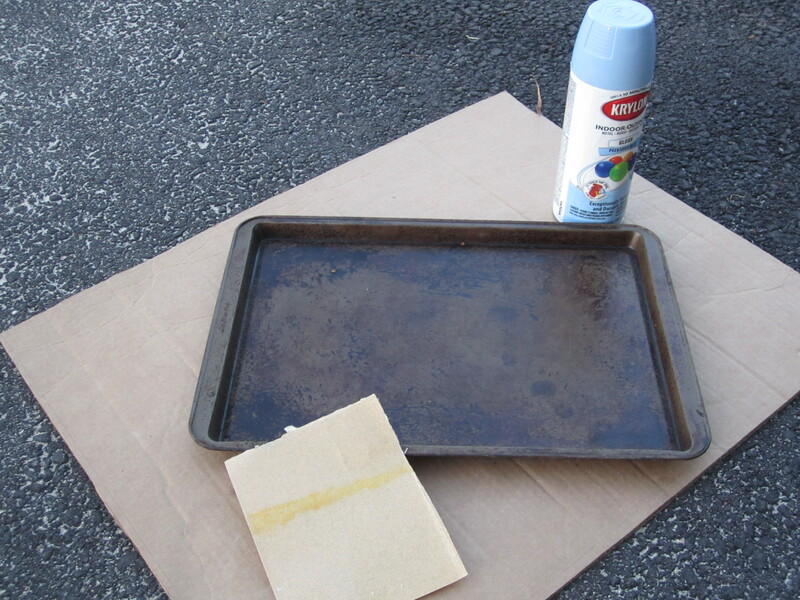 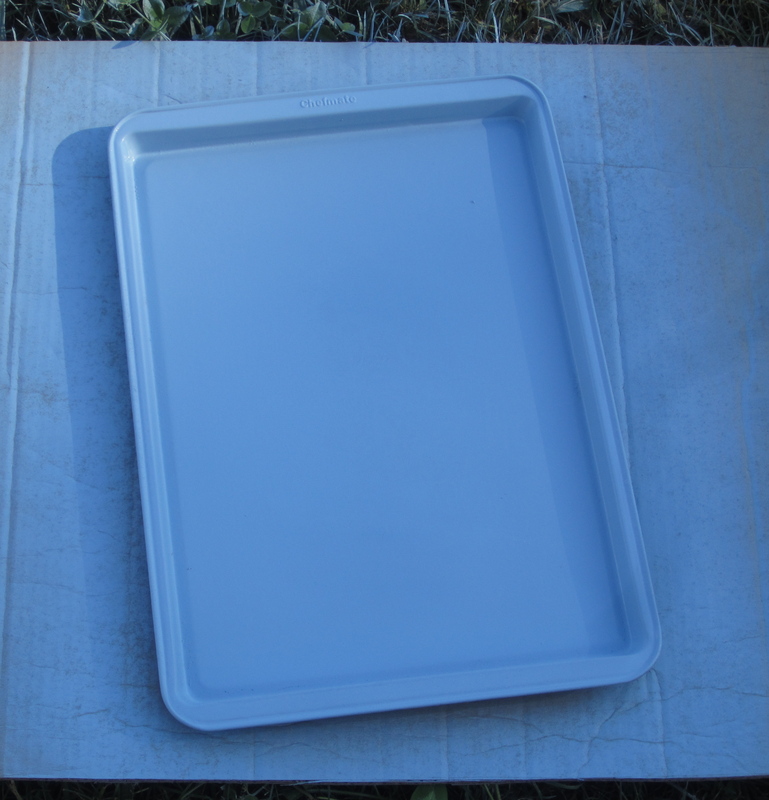 Apply several coats on spray paint to both sides of cookie sheet – allow time for each side to dry completely. 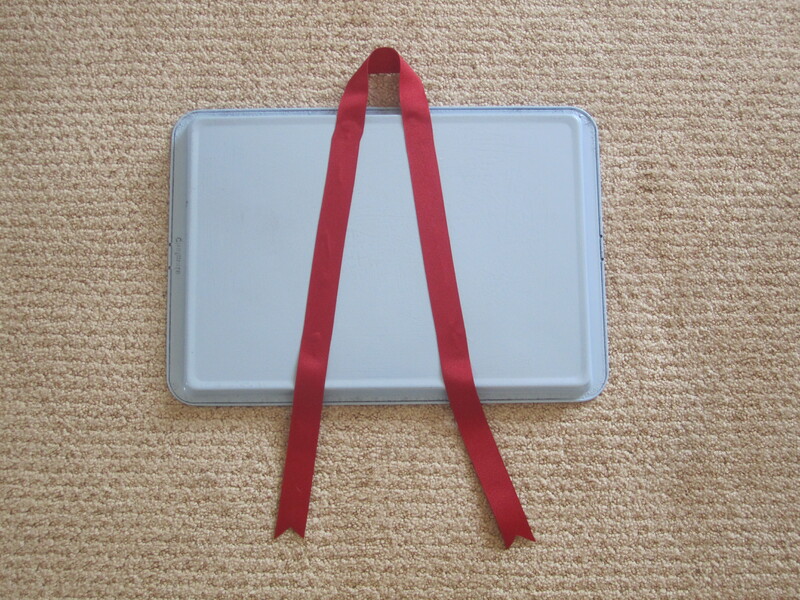 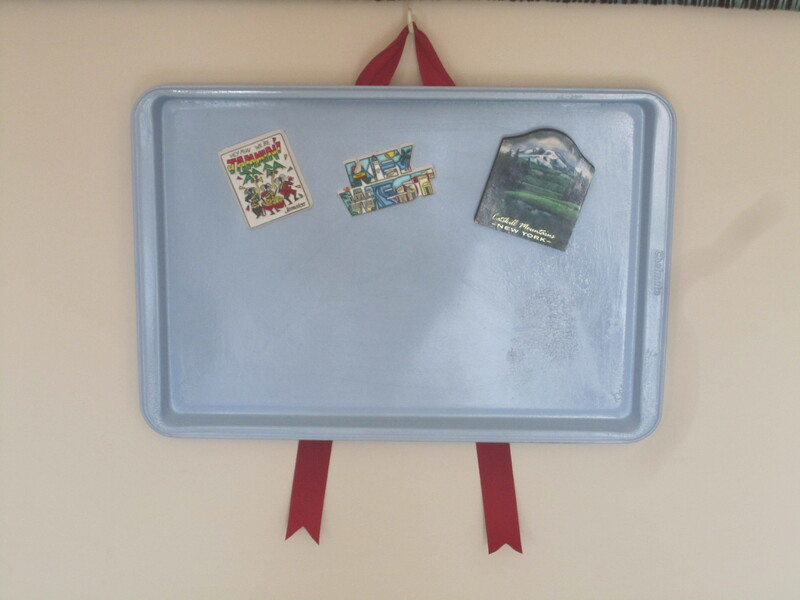 Hot glue ribbon to the back of cookie sheet.